Raging Thunder (v1.0.7) — Mobers.ORG — Your Daily Source For Mobile FUN! 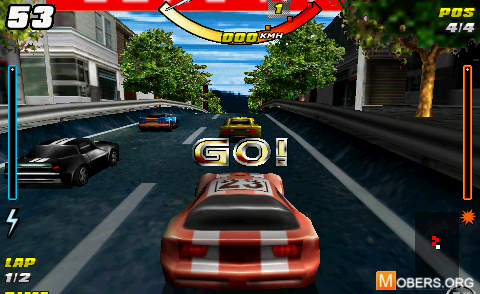 Raging Thunder is a gut-churning, tire burning racer developed for a broad range of mobile platforms and handheld devices. Race against time, CPU controlled opponents or up to three other speed addicts in this fast paced and exhilarating coin-op style racing game.